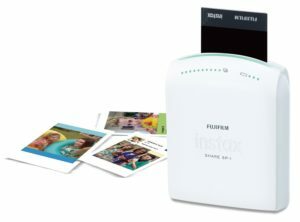 Fujifilm manufacture some of our favourite instant photo printers. With the announcement of their new instax sp-2 we may be changing our #1 favourite of the Polaroid Zip to the Instax Sp-2 Fujifilm Photo Printer. Fujifilm are known for there awesome cameras and this great quality and design reflects on their line of instant Fujifilm portable printers. These printers are super easy to use with their integrated Instax share app on either iOS or Android. Both of the printers work at high speed with fast printing speeds from 10-16 seconds, and print a great quality photo, either from your stored photos or social media such as Facebook, Instagram or Twitter. So what is the best Fujifilm photo printer? A definite upgrade from the sp-1 printer. It has a redesigned body and a whole lot of new features. 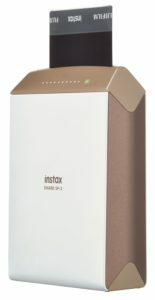 The new instax sp-2 is more angular and it has a stylish power button that is shaped like a diamond. The number one upgrade for this new instax sp-2 printer would be its faster printing time, compared to its predecessor at only 10 seconds. The Fujifilm Instax SP-1 is portable and lightweight and is quick and easy to use with any smartphone or tablet. With its plastic cover this may not be the best looking of the bunch but may be the best all rounder. 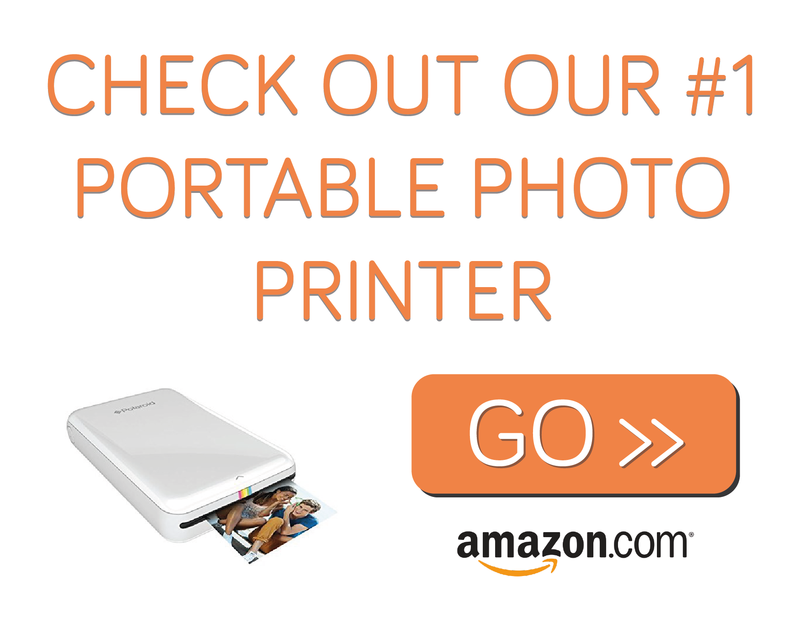 With ease to operate and accompanied iOS and Android app this portable photo printer offers some fun editing and printing.